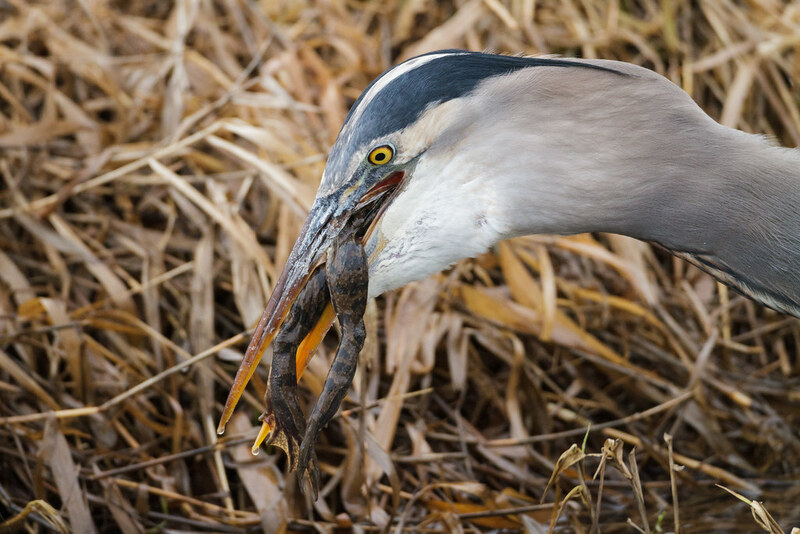 Bullfrogs are voracious predators and not native to the Northwest but they are also a food source for a variety of animals that have learned to eat them. 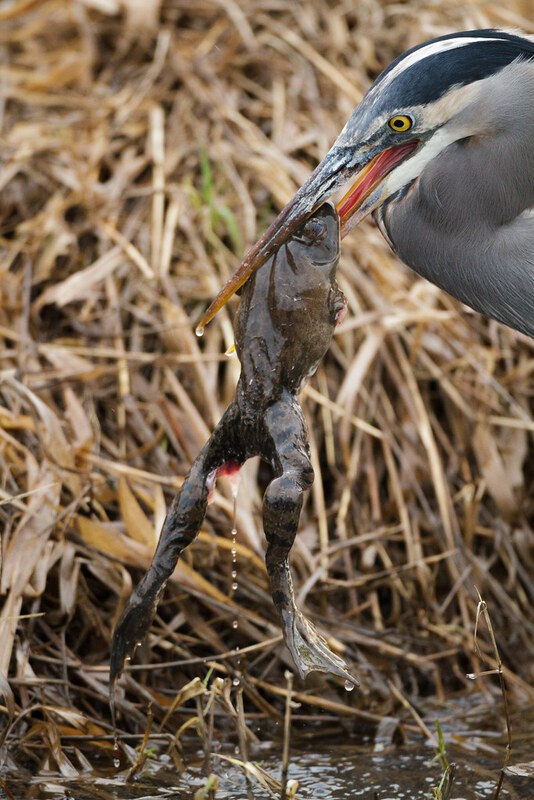 This large bullfrog was I think killed by a family of otters that came through earlier, it looked like one of them had caught the frog and eaten its front legs and a bit near the back before leaving. 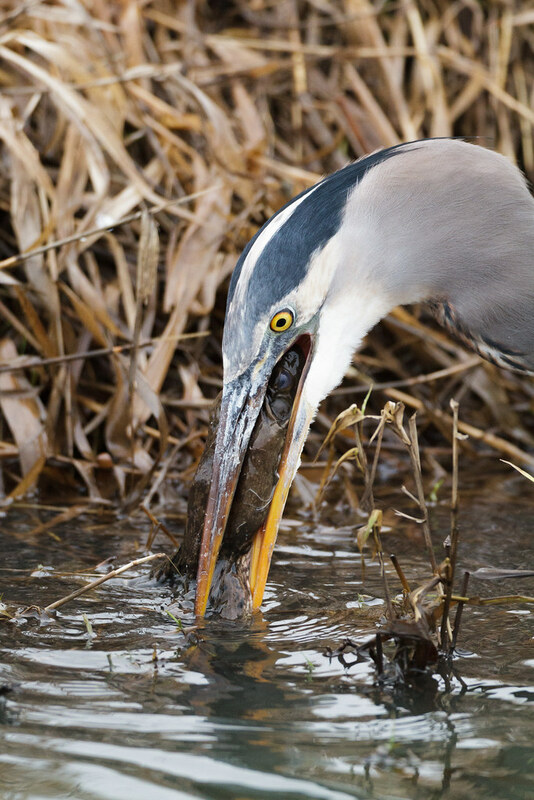 The heron was happy to eat what the otters left, dunking the frog a couple of times in the water (birds like herons and bitterns do this at times with their prey when near water) before getting it positioned in its beak where it could swallow the frog whole. 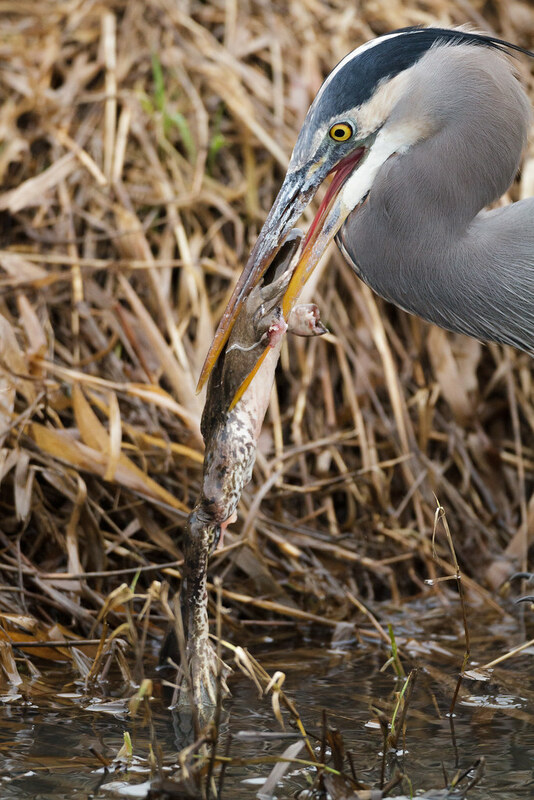 This entry was posted in Amphibians, Birds and tagged American bullfrog, auto tour, eating, great blue heron, Rest Lake, Ridgefield National Wildlife Refuge, River S Unit, Washington. Bookmark the permalink.